1. Apply #1 to nails, covering entire nail surface. 2. 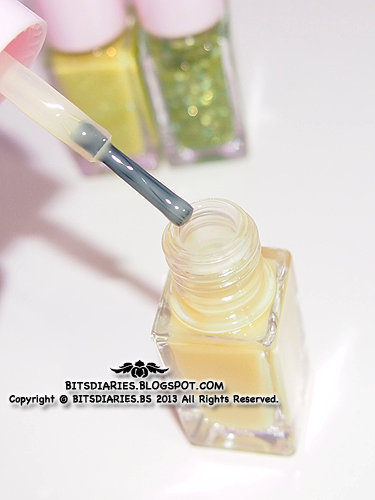 Allow nails to partly dry then apply #2 to nails from mid nail line to the tip. 3. Allow coats #1 and #2 to partly dry then apply #3 just along the nail tips. This is how the brush looks like. - comes in a set of 3! 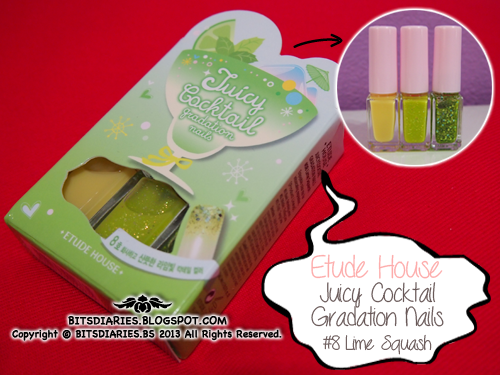 - the whole bottle of #3 tangy lime(glitter) gets dried up easily! !